A safe and secure Blackburn town centre is an essential requirement for businesses. 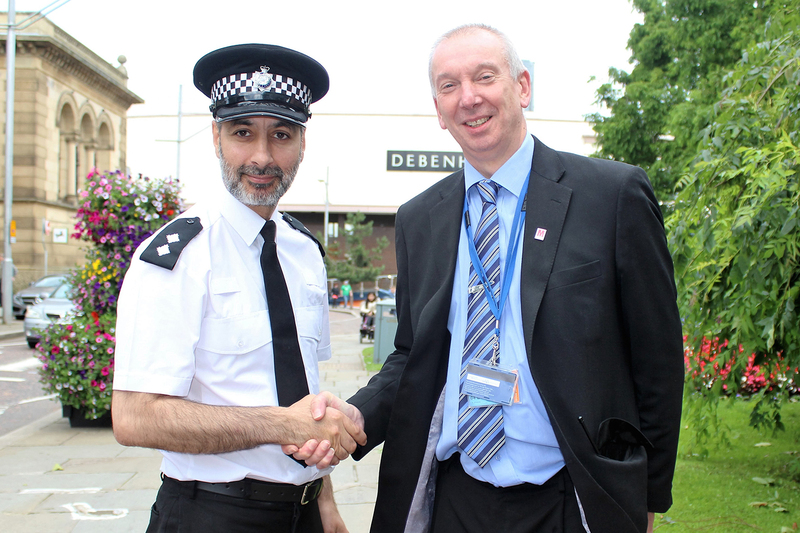 The BID works closely with Blackburn Businesses Against Crime group (BBAC), Lancashire Police and Blackburn with Darwen Borough Council’s Community Safety team to promote a joined-up approach to dealing with anti-social behaviour, shoplifting and environmental crime. The BID continues supporting the deployment of two Police Community Support Officers (PSCO’s) to operate within a team of 8 police officers covering the BID area. Through the partnership with BBAC additional security patrols were deployed for Townsmoor during busy seasons, additional private security staff were procured and managed for public events and additional police shifts for the core funded activities. The BID commissioned a report by criminology students at Blackburn College to study causes and solutions for dealing with anti-social behaviour around the Cathedral Quarter. Creating a zero-tolerance approach to the begging in the town centre which asks visitors not to give it directly to people on the street but organised charities. To provide targeted security to tackle low level seasonal anti-social behaviour incidents and deter shoplifting.